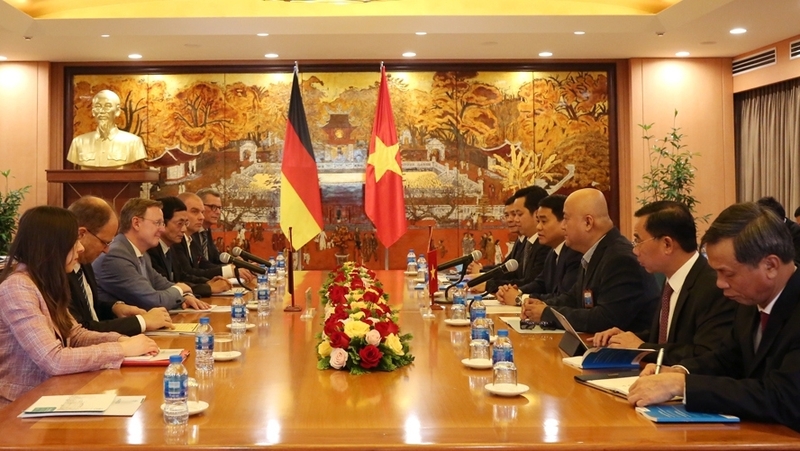 Hanoi is willing to cooperate with and create favorable conditions for German enterprises as a whole and those from Thuringia State in particular to do business in the city, Chairman of the municipal People’s Committee Nguyen Duc Chung affirmed. Addressing a working session with a high-level delegation of Germany’s Thuringia State, led by its Minister President Bodo Ramelow, in Hanoi on April 8, Chung suggested that the two sides strengthen the sharing of experience and continue to carry out specific cooperation projects, especially in the areas of Hanoi’s demand, such as labour, vocational training, the provision of highly technical medical equipment, digitalisation of databases, and smart city building. He informed the guests of Hanoi’s socio-economic development over the past few years and also touched on the major challenges currently faced by the city concerning the training of high-quality human resources, traffic congestion and environmental pollution. 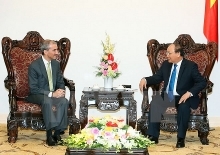 One of Hanoi’s efforts to deal with the aforementioned challenges is to accelerate cooperation with European countries, including Germany, Chung said, stating that modern the technological equipment of Germany and Thuringia State are quite suitable for Hanoi. For his part, Minister President of Thuringia Bodo Ramelow affirmed that relations between Thuringia and Hanoi have been growing finely over recent times, with Thuringia’s businesses highly appreciating the learners from Vietnam. 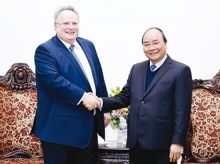 He voiced his wish that Hanoi and Vietnam would continue to be a trusted partner of Thuringia, agreeing with the Hanoi mayor on the enhancement of experience sharing between the two sides and further bilateral cooperation in the handling of environmental pollution issues and vocational training. 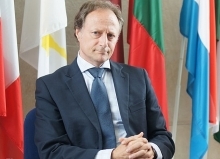 The high-ranking delegation of Germany’s Thuringia State, led by its Minister President Bodo Ramelow, is paying a working visit to Vietnam (Hanoi and Ho Chi Minh City) from April 6 to 13, at the invitation of Deputy Prime Minister and Foreign Minister Pham Binh Minh.